Thrilled about my new iPhone and a bit too preoccupied with it to post properly, here's a mobile post ft. my new phone, case, and Connect the Dots (Lynderella) and Caribbean (Savina). 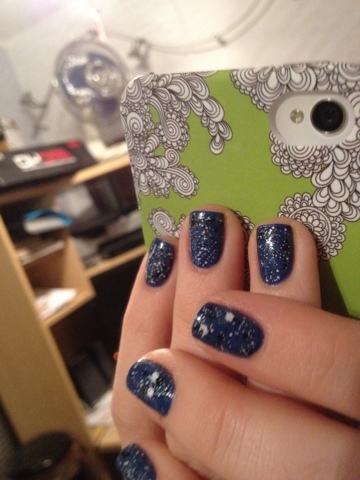 cool phone case, and the nail polish looks nice. Are you going to try and do a polish look that matches the case? that would be cool.